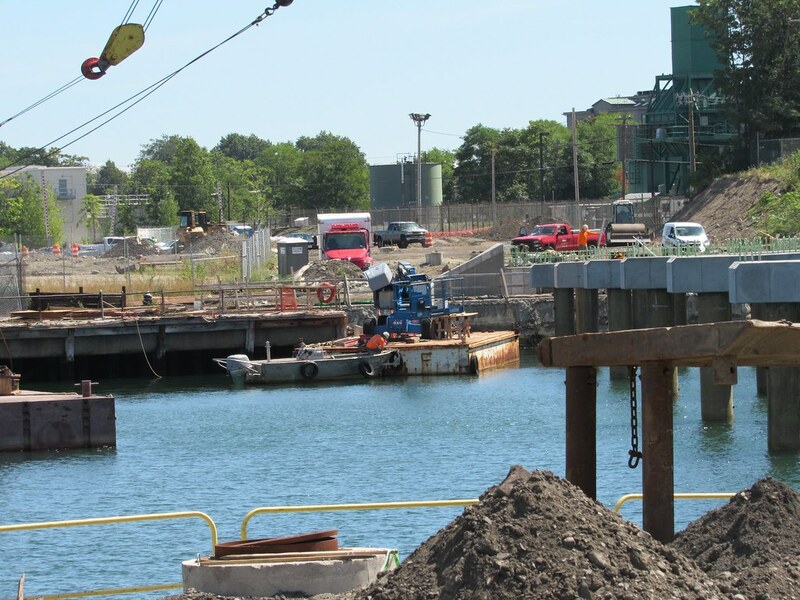 The heavy trucks that rumble down East 1st Street in South Boston from Conley Terminal could soon be a thing of the past as the Massachusetts Port Authority prepares to move forward with its project to build a dedicated freight corridor. 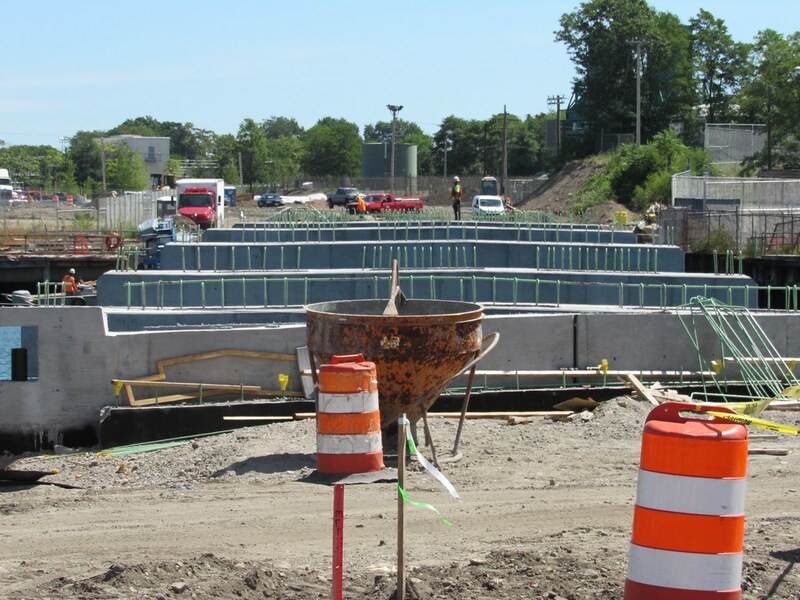 The news that the project could begin as soon as next spring was a welcome update to residents who have long endured the noise, pollution, and safety concerns associated with the trucks that run through the dense neighborhood. At a Wednesday night community meeting officials with Massport spoke with residents about the general idea behind the $35-million project, which in addition to improving shipping operations at the terminal, will increase neighborhood green space. 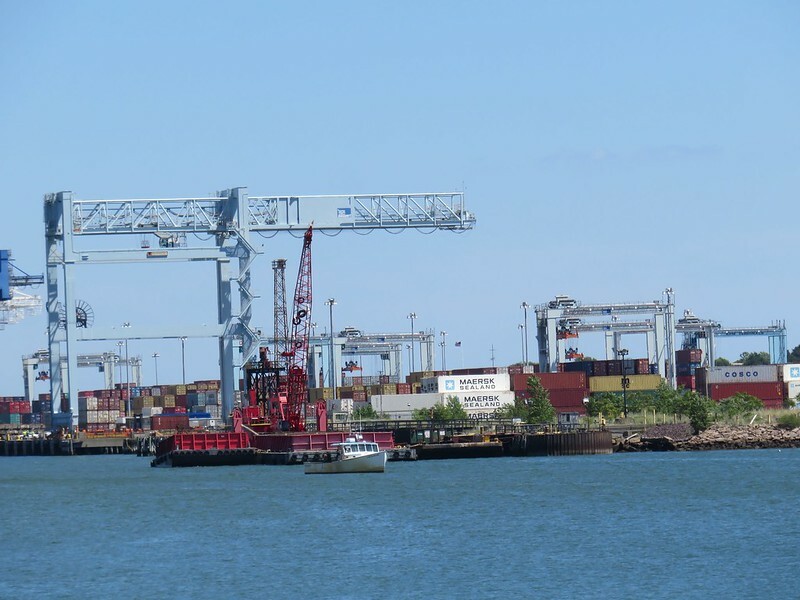 The expansion will allow Massport to move more freight through the terminal as well as hopefully improve conditions for those that can see the containers and ships from their doorsteps. 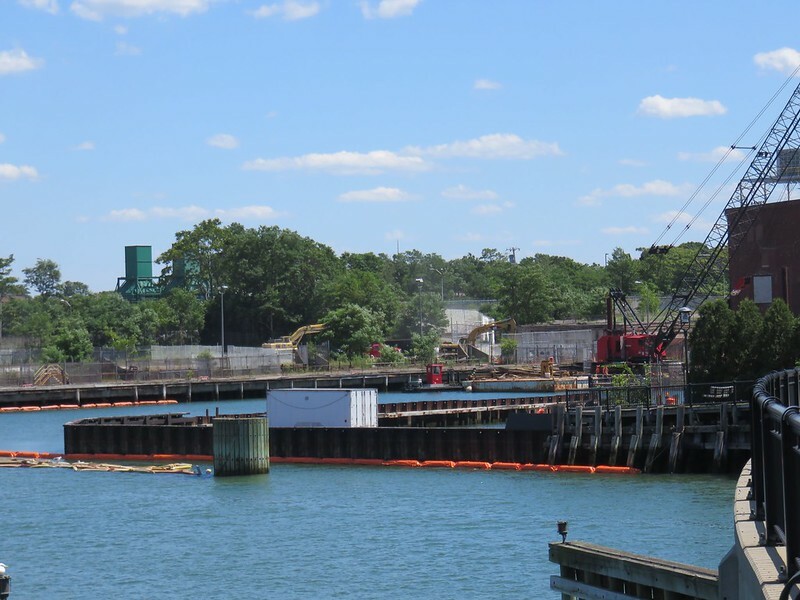 Construction is anticipated to take upwards of two years, with the first phase of the project expected to include the construction of the noise buffer wall and demolition work at the Coastal Oil parcel. That work could begin as soon as April. 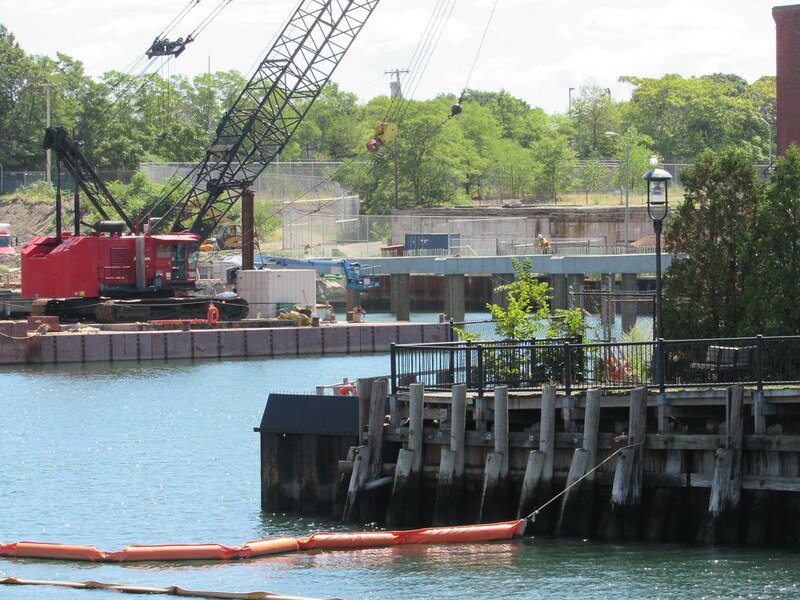 The dedicated freight corridor will run from the terminal away from East 1st Street crossing over the Coastal Oil parcel and property owned by the MBTA and Excelon. 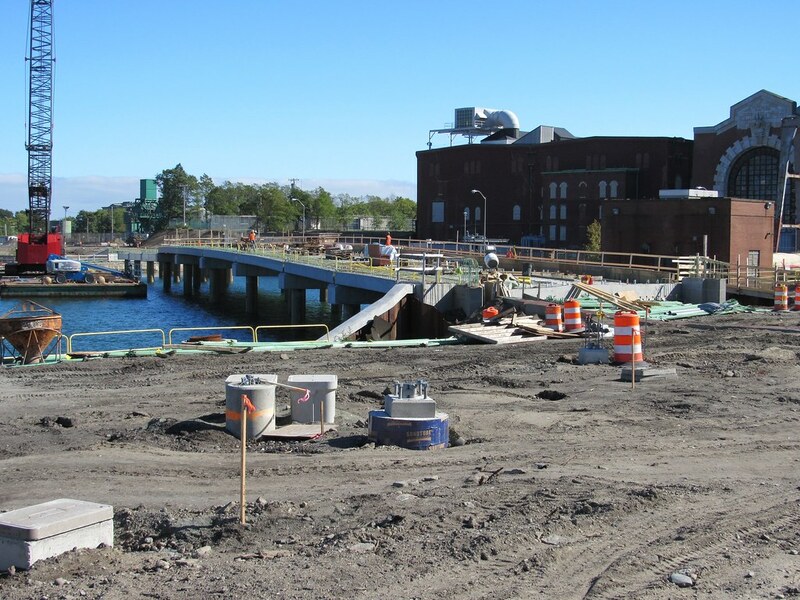 The road will eventually connect to Summer Street using a bridge to cross over the channel. 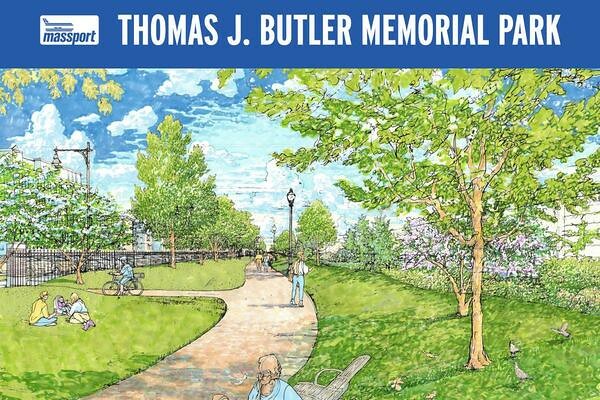 The green space component of the project will include a new park along East 1st Street from Farragut Road to the MBTA’s property near M Street. 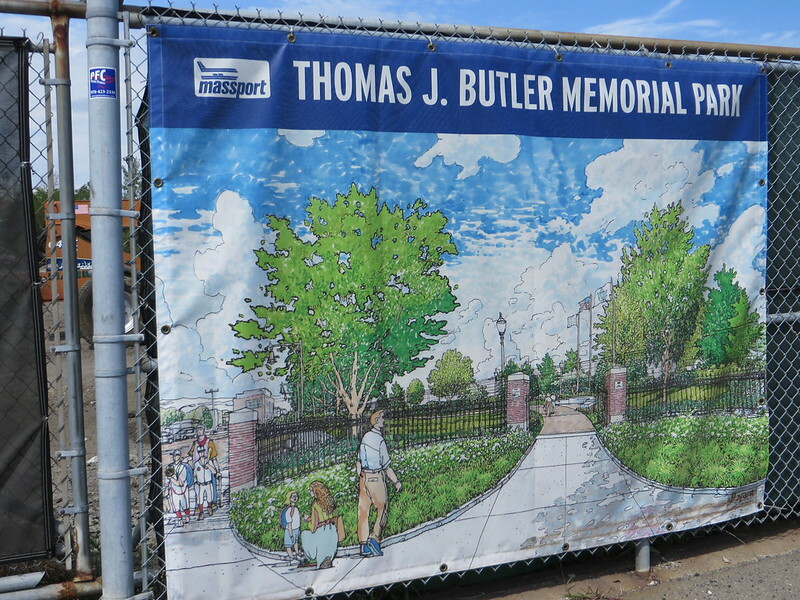 The park, which will be patrolled by Massport security and will be fenced and closed at night, will include a walking path, new trees, and a memorial dedicated to the late-Thomas J. Butler, a long-time advocate for the project and the community in general. 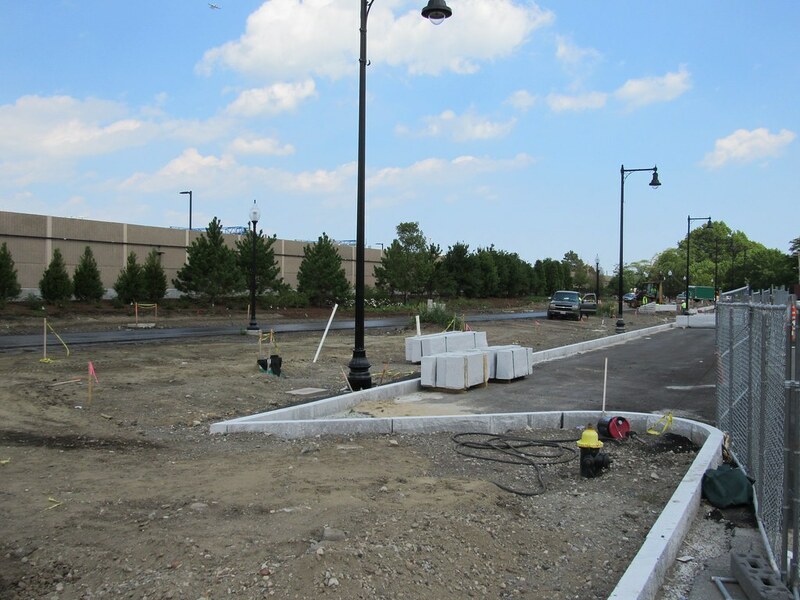 The curb adjacent to the park will be realigned as part of the project and the existing parallel parking will be converted to angled spaces. Currently an estimated 50-60 cars can park on the northern side of the street. Once the angled spaces have been implemented it is estimated that up to 100 cars will be able to park on the northern side of East 1st Street. 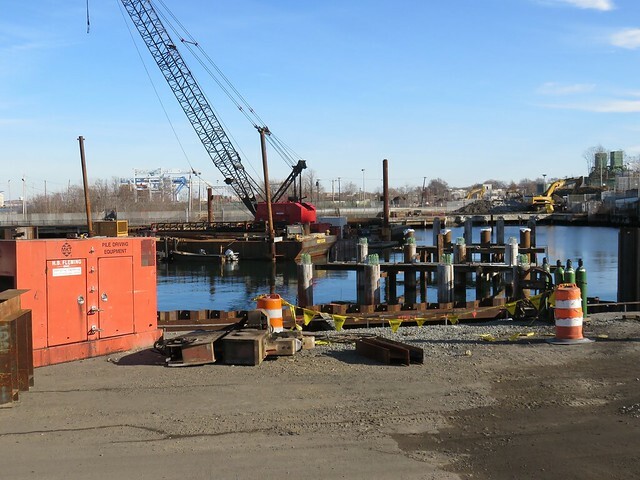 Over the coming weeks Massport representatives said they will launch a project-specific web page and be back to the community before any shovels hit the ground. 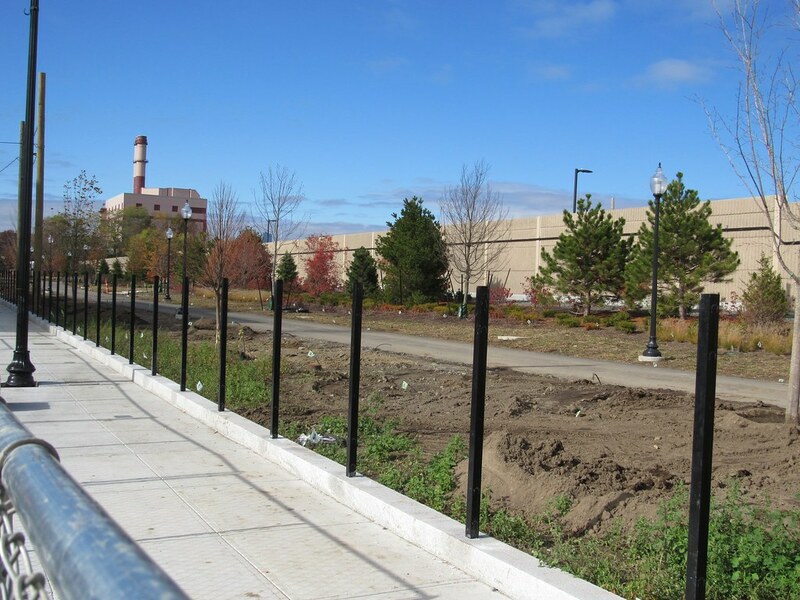 Conley Terminal (Looks like the expansion has begun) Land being cleared for new park. 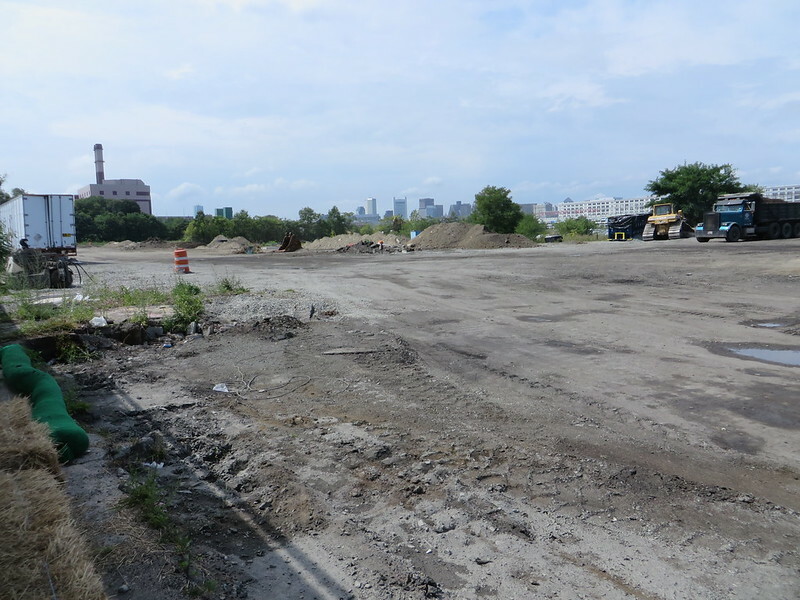 The Massachusetts Port Authority will use the close to 18 acres of South Boston waterfront land it purchased last week from the Massachusetts Bay Transportation Authority as the site of the Thomas J. Butler Freight Corridor and Memorial Park. 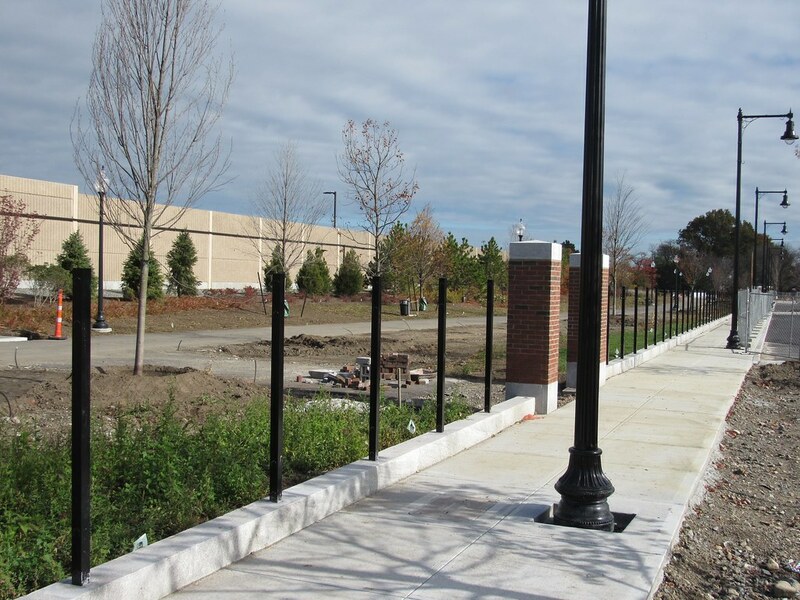 The Business Journal last week reported that Massport had closed on the $7 million purchase of a 17.8-acre portfolio of properties between East First Street and the Reserved Channel in South Boston. 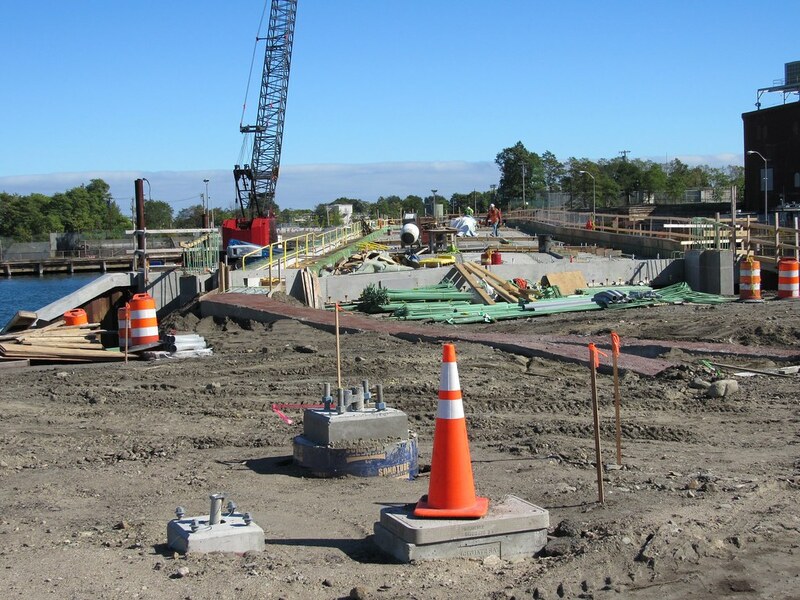 Construction has begun on the $75 million freight corridor and 4.5-acre memorial park, said Andrew Hargens, deputy director of portfolio and asset management for Massport. So Im a little confused here - the image and the descriptions have always indicated a larger park, but the project map (here) only shows a small greenspace buffer. 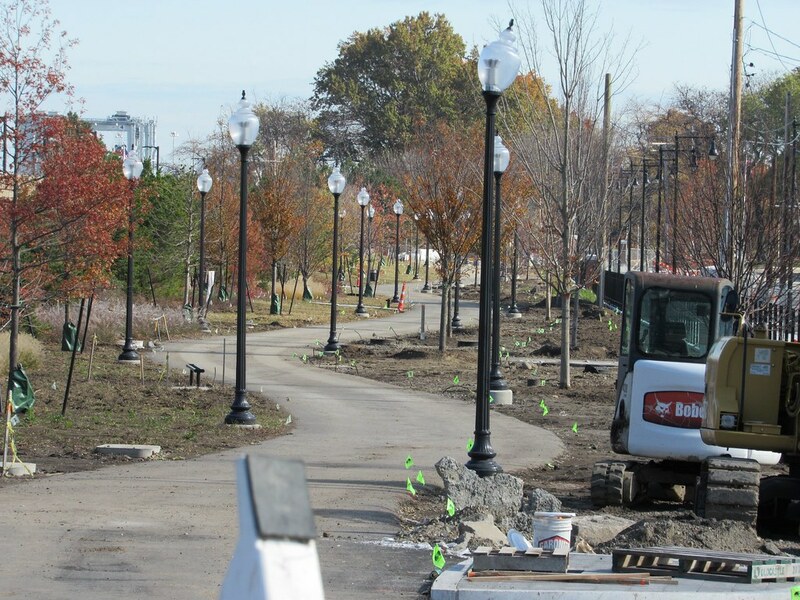 Is the park going to be on the waterfront side of the new haul road, and just not shown on the project map, or is the strip of greenspace all we're gonna get? 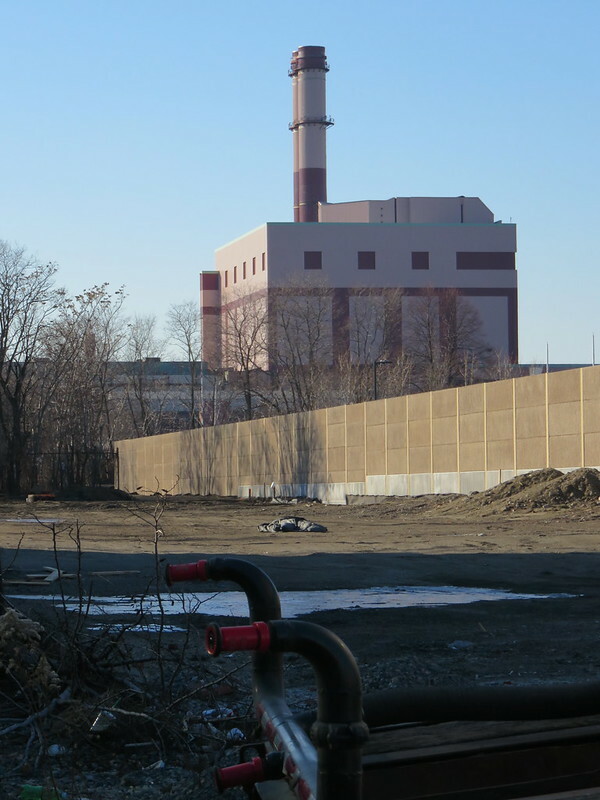 Looking W toward power station. It's only going to be the strip. The park will be in the foreground between the sound barrier wall and E First. On the Massport map the park is the green strip along E First. 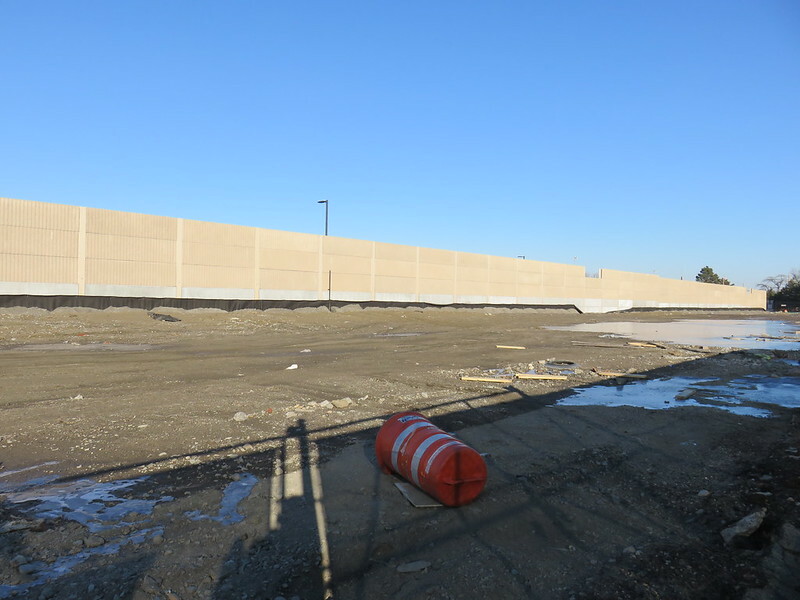 The new haul road and expanded terminal will be behind the wall, between it and the reserve chanel. I guess that looks wider than the strip looks on the map, so it's clearly be huge improvement to that road as it is currently. 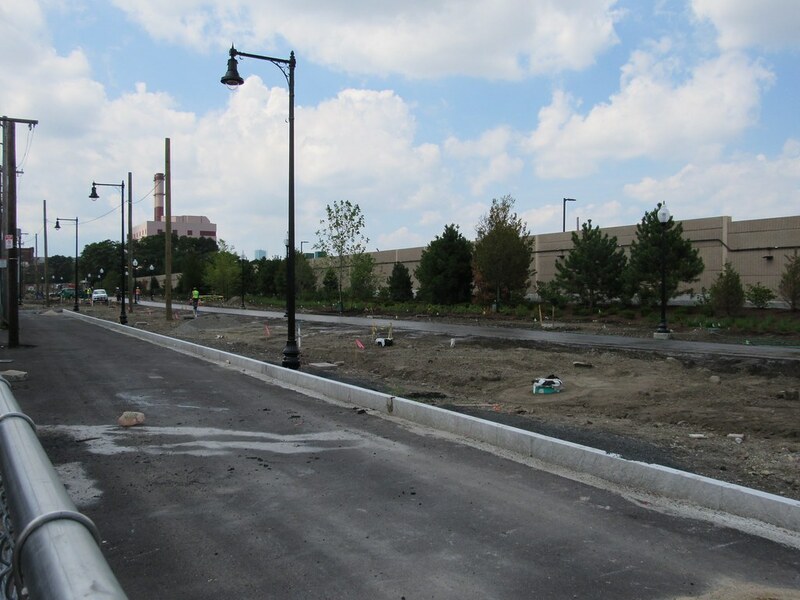 As an aside, I wonder if they could ever work the Silver Line into this new freight corridor and run it to City Point. 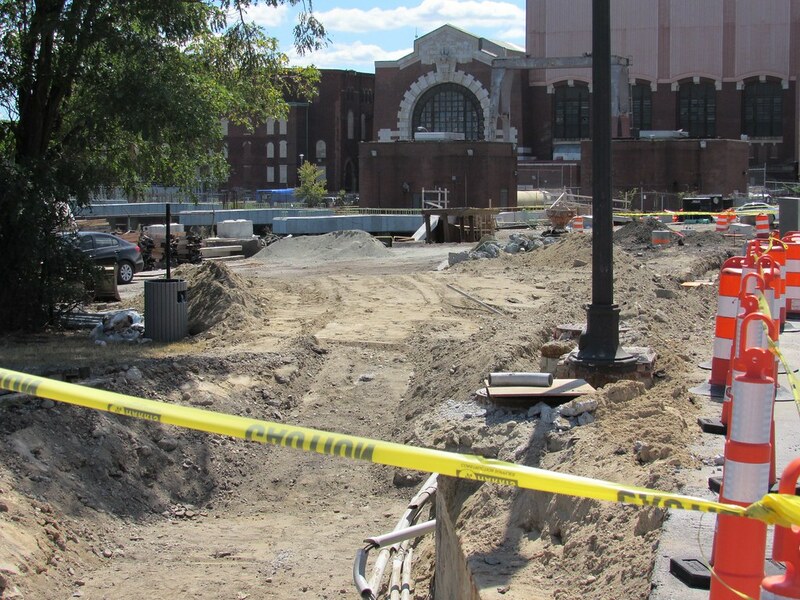 Looks like work is in full swing for the terminal expansion and the connection to Summer Street. 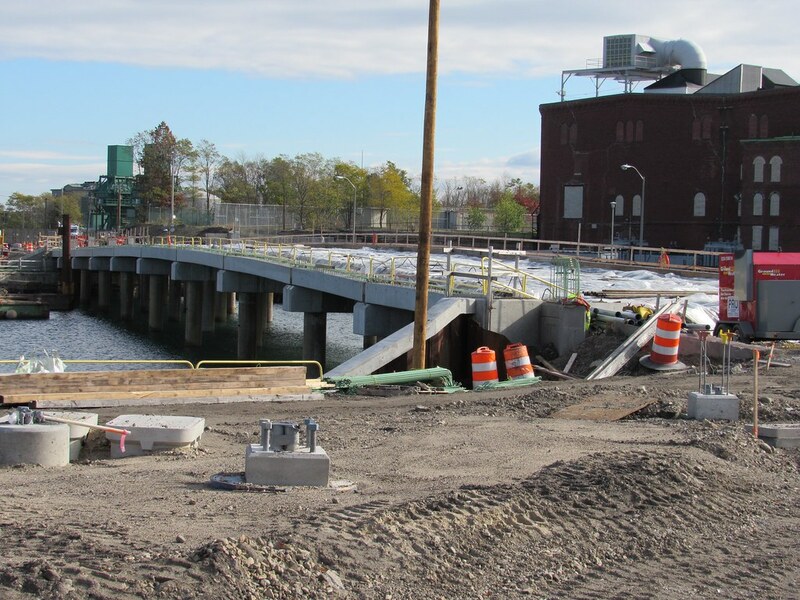 Haven't seen when they're going to start doing the road mods on the Seaport side of the bridge. Maybe that's still an addendum at project's end that hasn't kicked off design yet. Or a separate thing they still don't have approval for yet. 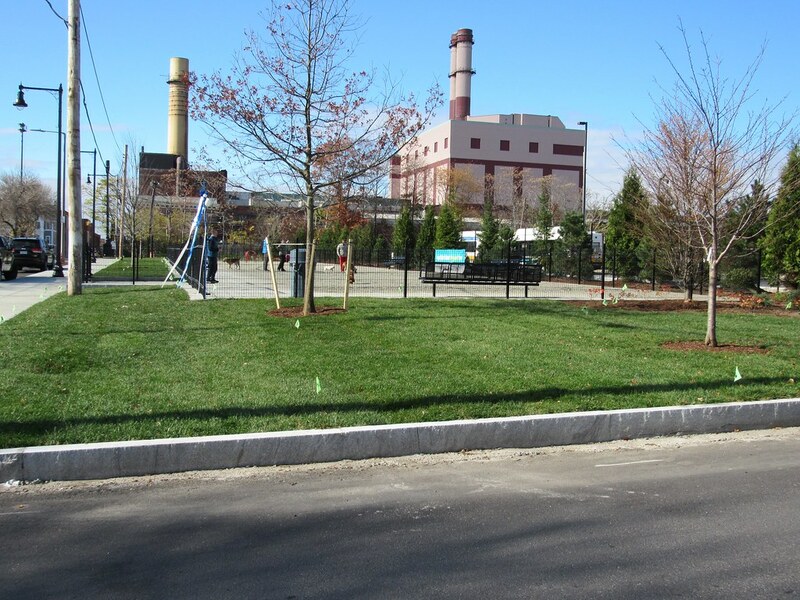 At any rate the original renders showed a diagonal cross-cutting road from the Drydock Ave./Summer intersection going straight to Southie Haul Road replacing the inefficient sharp turn onto Pumphouse Rd. Which would really help make the truck traffic much more inocuous to the neighborhood and faster for slipping in/out by being able to go straight off the bridge instead of slowly turning their trailers at 90-degree angle at Pumphouse only a block away from BCEC, backing up all manner of BCEC-generated traffic in the process. I hope that's still in the cards for what it would do to keep Conley's growth totally out-of-sight/out-of-mind to everyone. Kind of wish that track 61 was being extended to Conley too, and not just the haul road. When is this expected to be open for business? If the route out of the city were good for double stacks it would maybe happen. It would be incredibly efficient to load up a double stack train lickity-split and ship it off, and that would entice ships to call on Boston with quick unloading and shipping times. It isn't worth it at this time. Nah. They don't have enough space for stacking inside that very compact terminal, and freight cars have to be sorted and classified before they can be stacked onto a train. That means everything has to get dragged back single-stack to Framingham anyway to do the sorting before the loads get shipped off to Worcester to get the second stack plopped on them. There will never be a need for DS clearances at Southie. So Fairmount, Franklin, the upper Framingham Secondary, and the Worcester Line between Westborough and Framingham will only need 17' tall freight clearances. That means 19'6" if they are electrified because 2'6" is the safe wire clearance for a 25 kV line over the roof of an unshielded railcar (like an all-metal shipping cube). As long as all other misc. port freight can clear the high platforms the container well cars are fine, because the wide portion slips safely underneath a full-high's overhanging platform edge. Conley might need rail transloads someday, so it's good the haul road leaves some space to graft one onto the side if the requisite water crossings are constructed and/or bolted onto the road bridges. But that's always primarily going to be a truck transload facility, so those rail loads won't ever be that great in number if/when they're needed. New England's got a lot of similar smallish ports though, so type of loads can very easily be differentiated by task to the different port facilities. 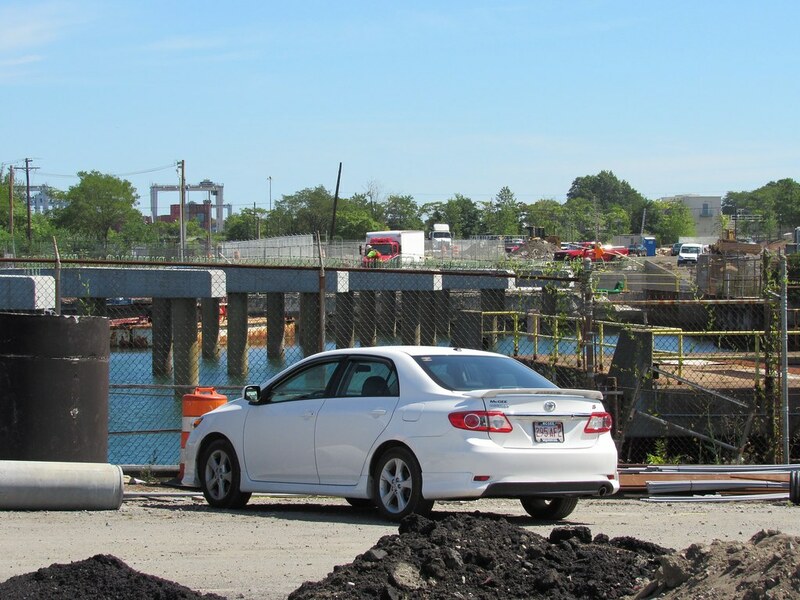 Northside's trickier because of the Boston Autoport in Charlestown. Can only get 17' bi-level autoracks out of there and up the Lowell Line, as 19'6" tri-level racks are just too tall. But tri-level racks are all that CSX, Norfolk Southern, and P&W use. That's why the Autoport/Moran Terminal are much further down on the list of Massport port upgrades. And Lowell is going to be a royal P.I.T.A. to fix all those 17' bridges with raisings or track undercuts when it's time for electrification. Everything's going to have to find that +2.5 ft. for 19'6" and safe wire clearance. Non-optional because Lowell's #1 above all others as first northside line that needs electrification, but royal P.I.T.A. it will certainly be. Saw a press release from US Dept. of Transportation that they were awarding MassPort $42 million for the Conley facility improvements. 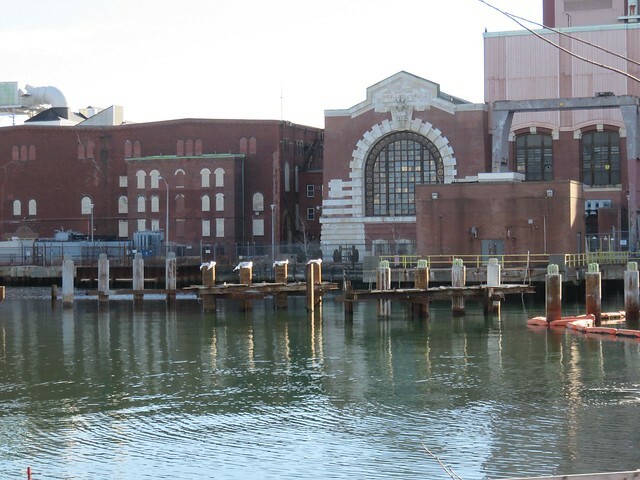 Project Description	The project will improve the facilities and structures of the Paul W. Conley Terminal in the Port of Boston. And the new dog park.